Camping for the first time can turn into a wonderful experience, or it can become a nightmare. It mainly depends on the equipment you use. 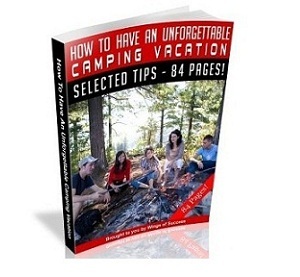 Purchasing and using cheap camping gear has its benefits as well as some downfalls. If it is your first time camping, you may not want to purchase equipment, as it may add up in the end. So by asking either your friends or relatives if you can use their camping equipment, it may be the cheaper option. However, if they have nice camping equipment they may be hesitant to allow you to use it, or they may not let you borrow it at all. You also may not want to borrow it if you know they have expensive equipment, because you don’t want to run the risk of damaging their tent or burning their stove. So purchasing cheap camping gear to begin with may become the better option. Most first time campers purchase cheap camping gear at big department stores like K-Mart or Wal-Mart where you can purchase all the basic equipment and stay within your budget. Once you have experienced the outdoors and have decided that you enjoy camping, you can them start to invest in more expensive items that are more durable. Cheap camping gear has the benefit of being cheap, but not much else. Typically cheap camping gear usually falls apart quicker and is less dependable. It is not worth going out and buying cheap camping equipment time and again, because all though it may seem like the cheaper option at the time, it will add up after replacing it more than once. It is often best that you invest in the more expensive, durable equipment that you know will last longer and will cost you less in the long run. If you are using cheap camping gear on your first camping trip, don’t let any faulty equipment keep you from enjoying your camping experience. Keep in mind that there is better equipment available that makes camping more enjoyable. Purchasing the right camping gear, such as a tent, sleeping bag, stove, or cookware, will make such a difference. Finding a tent that is waterproof, lightweight and easy to assemble is very important. No one wants to assemble a tent that will take all day to put up, and definitely no one wants to sleep in a leaky tent. So be sure any tent you purchase is waterproof and easy to assemble. Your sleeping bag is also extremely important. You will want a sleeping bag that will keep you warm and be comfortable as well as easy to pack away. A good stove is important, especially in campsites where open fires are not allowed. So be sure to purchase a stove you know will last through many camping trips. You cookware is also important. Buying the cheapest cookware may seem like a good idea, but not when you find that it melts or find little flakes of metal in your food. So it is always worth investing in the basic camping gear.